Jeffery Woo has 25 years of experience in real estate, general business and landlord-tenant litigation; and real estate transactions. He represents major institutional and individual property owners, real estate brokers, commercial office and retail property developers, property buyers and sellers, and homeowners associations. Having worked within his family’s real estate leasing business from an early age, Mr. Woo has been involved in real estate matters his entire life and knows firsthand the issues that property owners face. As a licensed real estate broker, he also provides his broker clients an added insight into the legal challenges and issues they must confront regularly. Mr. Woo represents his clients in matters concerning tenant buyouts; residential and commercial unlawful detainer and wrongful eviction; leasing, purchase and sale contract disputes; failure to disclose; constructive trusts; contract rescission; defense of ADA claims; easement disputes; boundary disputes; and partition actions. He also represents businesses and individuals in real estate transactions, including acquisitions, sales and leases. Before joining Cooper, Mr. Woo managed the six-attorney firm of Woo & Associates, where he focused on real estate disputes and transactions and general business litigation matters. Representation of large institutional property owners and individuals in thousands of tenant buyouts, residential and commercial unlawful detainer actions, wrongful eviction and uninhabitable condition actions. Defense of property owners and business operations in Americans with Disabilities act claims. Representation of commercial office and retail property developers in leasing, purchase and sale matters. Prosecution and defense of numerous real estate related matters, including failure to disclose, breach of purchase and sales contracts, partition actions, constructive trusts, rescission of contract, specific performance of contracts, prescriptive easement, and boundary disputes. Representation of homeowners associations as general counsel and in specific litigation. Defense of Hong Kong lender in a construction defects case. Prosecution of class action suit on behalf of Asian residents of a San Francisco public housing project. Due diligence on approximately $27 million worth of real property for the Resolution Trust Corporation. Mr. Woo is admitted to practice in California, and before the Northern and Central Federal District Courts of California. Mr. 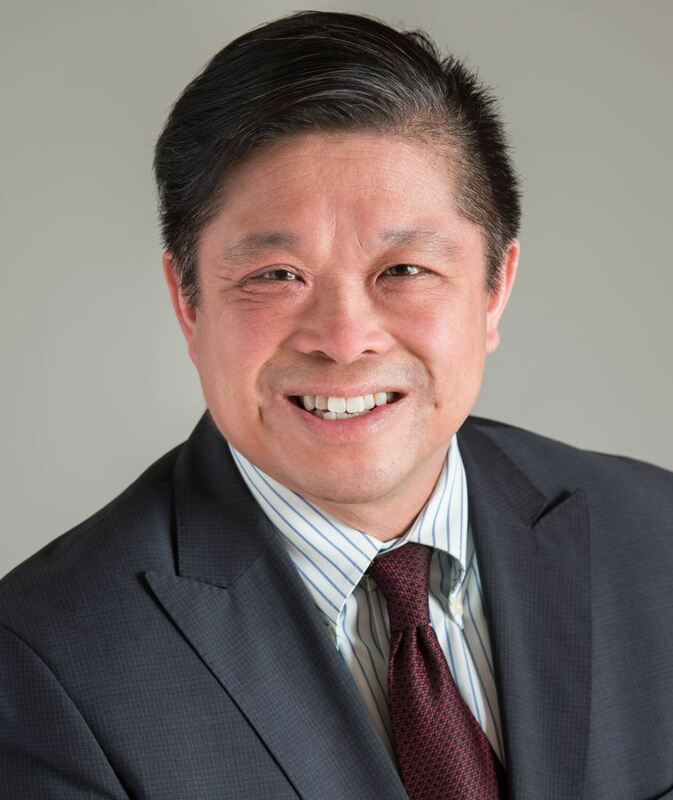 Woo is the President for the San Francisco Association of Realtors and a long time, former member of the board of directors San Francisco Apartment Association. He is past president of the Chinese Real Estate Association of America, a past director of the Asian Real Estate Association of America and a founding director of the Asian Real Estate Association of the East Bay. He is a member of the Bar Association of San Francisco (BASF). Mr. Woo participates in BASF’s Volunteer Legal Services Program and is a six-time recipient of the organization’s Outstanding Volunteer in Public Service Award. A former treasurer for the Intersection for the Arts in San Francisco, Mr. Woo currently serves as general counsel for the Chinese Historical Society of America. Mr. Woo has been recognized as a Northern California “Super Lawyer,” an honor bestowed on the top five percent of lawyers in the region, from 2006 through 2010. “Educated Eviction” San Francisco Apartment Magazine, November, 2010. “Listing Short Sale Properties: It’s Good for Business, but is it Good for the Seller?” A | R | E Magazine, Fall, 2010. Feature, “Legal Eagle,” San Francisco Apartment Magazine, June 2010. “The New Prospector: Buying Tenant Occupied Foreclosed Property Under The San Francisco Rent Ordinance,” San Francisco Apartment Magazine, October 26th, 2009. “Calculated Risk Can Lead to Big Rewards: Buying Tenant Occupied Foreclosed Property Under Oakland’s Just Cause Eviction Ordinance,” Rental Housing Magazine, February 2009. “Subletting in Oakland,” Rental Housing Magazine, May 2008. “Supervisor Daly’s New Proposals Seek to Limit the Rights of Property Owners,” Chinese Real Estate Association of America Newsletter. “CREAA Opposes Local Ballot Initiatives,” Chinese Real Estate Association of America Newsletter. “New Rent Ordinance Disclosure Laws In San Francisco,” Chinese Real Estate Association of America Newsletter. “Protected Tenants & Estoppels: Do You Know What You Need to Know?”, Broker-Agent Magazine, January 2007. “Buying and Selling Tenant Occupied Property in San Francisco,” San Francisco Association of Realtors, San Francisco, CA, March 2009. Mr. Woo earned his J.D. from the University of California, Davis (1987) and his B.S. in Financial Accounting from the University of Southern California (1984). He is a Masters in City Planning candidate at the University of California, Berkeley, with an emphasis in Public/Private Project Development and Housing.